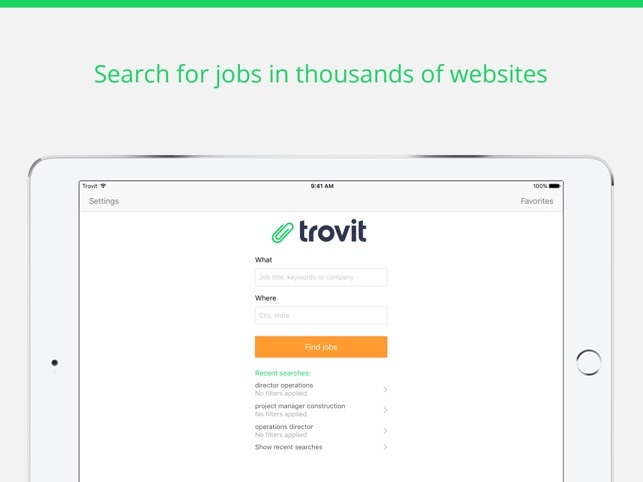 Trovit Jobs is a comprehensive index of job-vacancy listings available in the United States. To search Trovit Jobs, users must enter a job title (e.g., attorney, teacher, electrician) and a location. 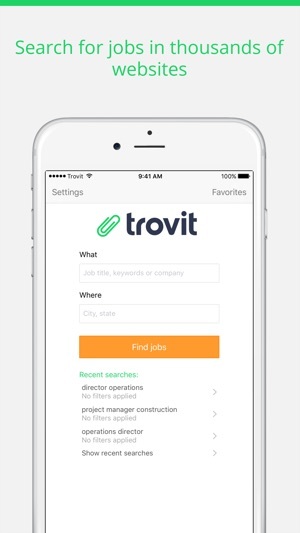 Next, Trovit Jobs will search its database and report jobs that match the search criteria. 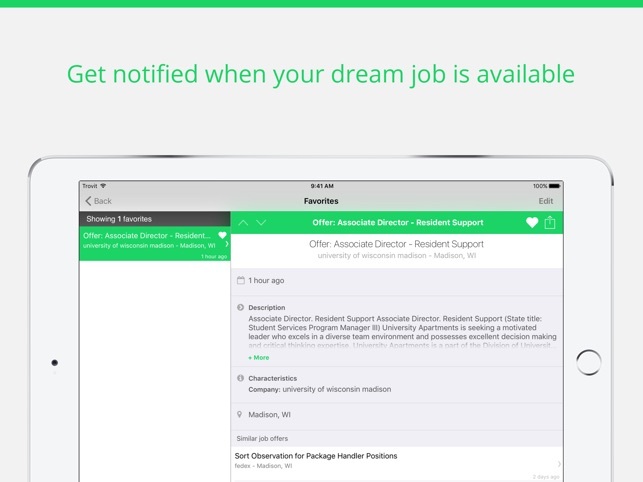 Each matching job will be listed on the left side of the screen, and users are able to scroll through the listings. 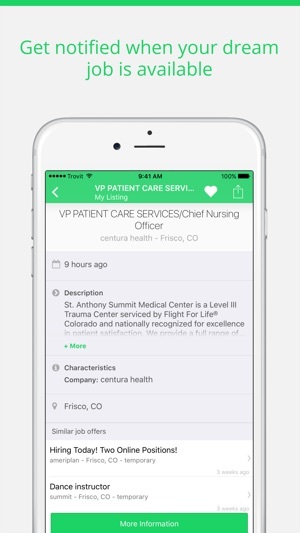 Users can then tap a job that interests them and read a detailed description of it. When users find a job that interests them, they can favorite it and share it via email and social media. 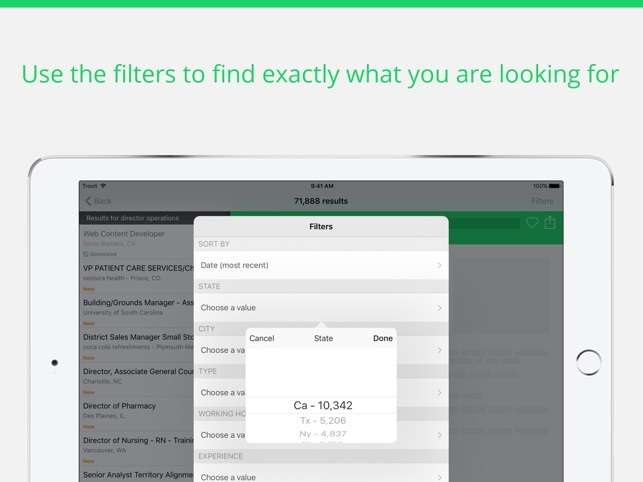 Additionally, users can use the “filter” button on the top right of the screen to further limit their findings. 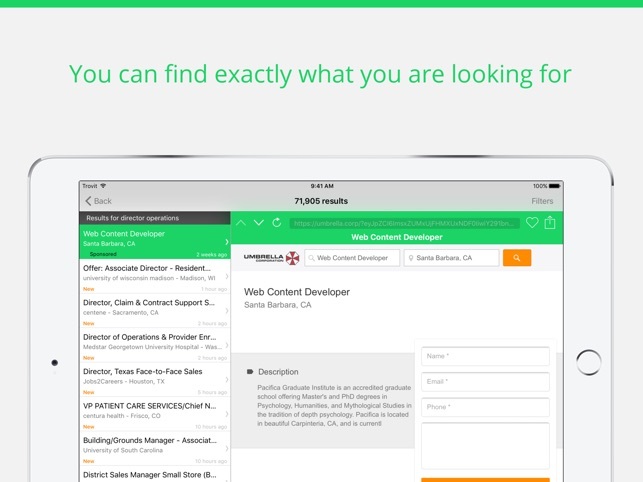 As part of a research assignment, teachers can have students search for jobs that interest them using this app. Next, teachers can have students research the jobs to find potential earnings, the education required for the position, and the responsibilities a person with this type of job has. Students can report their findings by making a presentation using Haiku Deck, Prezi, or SlideIdea. Teachers can have students research an area where they would like to live and identify the type of industry located in that area. Next, students can research jobs available in that area using this app. Students can then compose a summary of their findings using Quick Office, CouldOn, or WPS Office. Teachers can have students conduct a general job search. 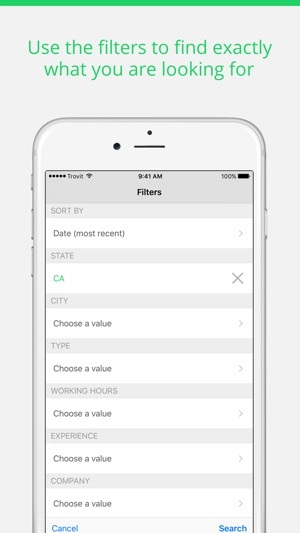 Next, teachers can have students use the “filter” options to investigate how location, working hours, experience, company, job category, and salary impact the jobs reported. As they do, teachers can facilitate a class conversation by asking: (1) Is there a relationship between experience and salary? (2) How do you suppose the “category” option affects the job search? 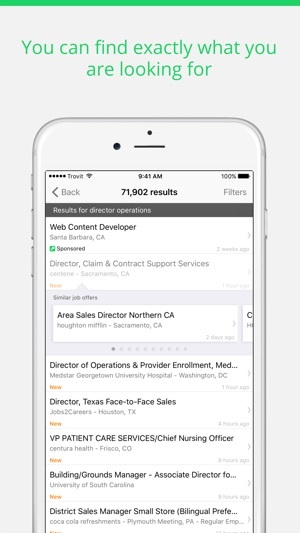 (3) From the main screen, is it better to search by job title, keyword, or company name?